2. Click on Customer Registration Status link available on right-side of this website. 3. Enter your mobile number for checking the status. 4. Next screen will be displayed that will indicate the status of DND service. 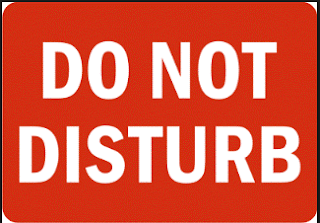 It is essential to check dnd status by this you can easily escape from the unwanted penalties. 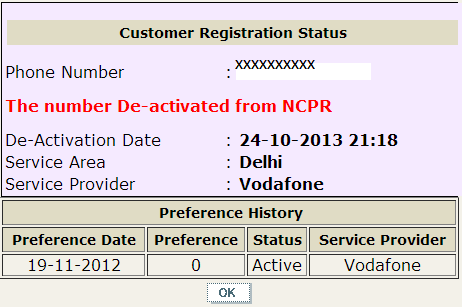 These days its hard to find the DND status from Telecom Operators. 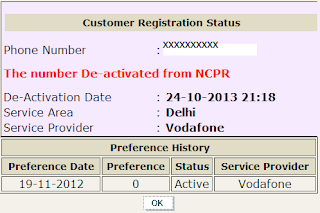 Good to know we can get DND Status & Preference History as well online here. Its very hard to know your DND Status & Preference history. Thank you for providing this information online.